All books must be an appropriate school and age appropriate book. Kindergarten through Fourth grade parents MUST stay with their child for the duration of the Winterfest. Upper school students 5th-8th grade do not have to be chaperoned by parents however, they MUST be picked up no later than 8pm. All students must have a total of at least 25 Dojo points in order to attend. R.S.V.P. EXTENDED to Thursday, December 13 by 9:00 PM. Follow the link to RSVP. 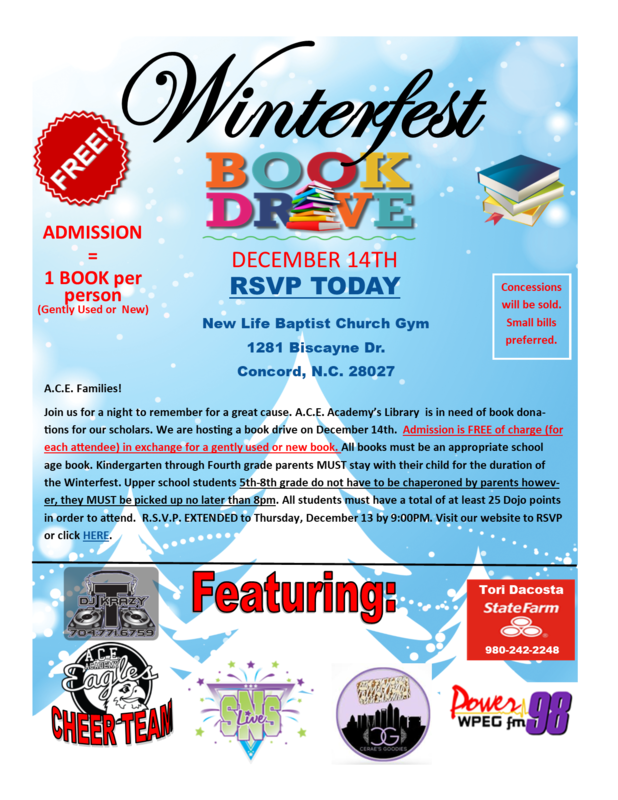 RSVP TODAY or before 12/13/18!